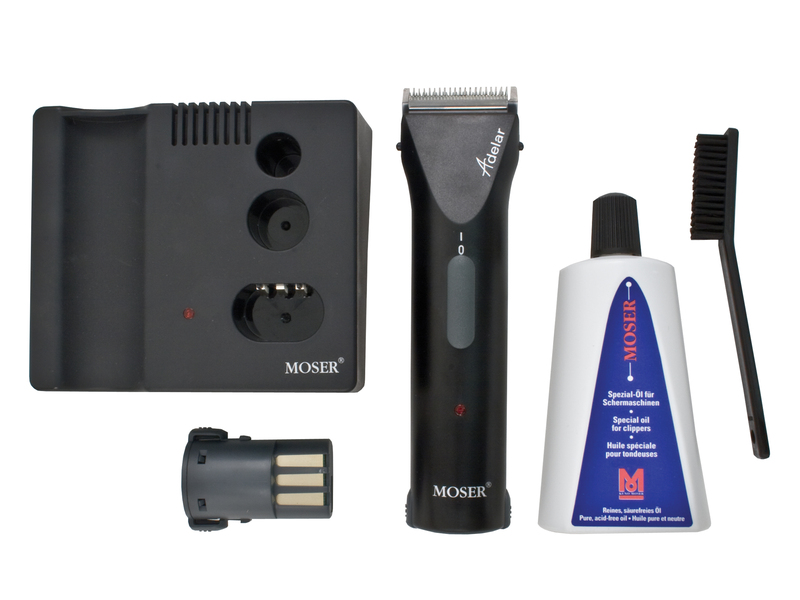 Powerful cordless rechargeable trimmer. 2.4v Rotary Motor. 120 mins of cordless clipping. Adjustable blade clipping length 1.0mm - 3.0mm. Snap on blade system - no alignment required. Ultra quiet. Suitable for trimming legs, head, bridle path, face and all difficult to reach areas. Kit includes 2 x batteries, charging unit, 200ml clipper oil, cleaning brush, instructions, all packed in a hard case. There are currently no questions for Wahl KM6854-0070 Adelar Rechargeable Trimmer - be the first to ask one!